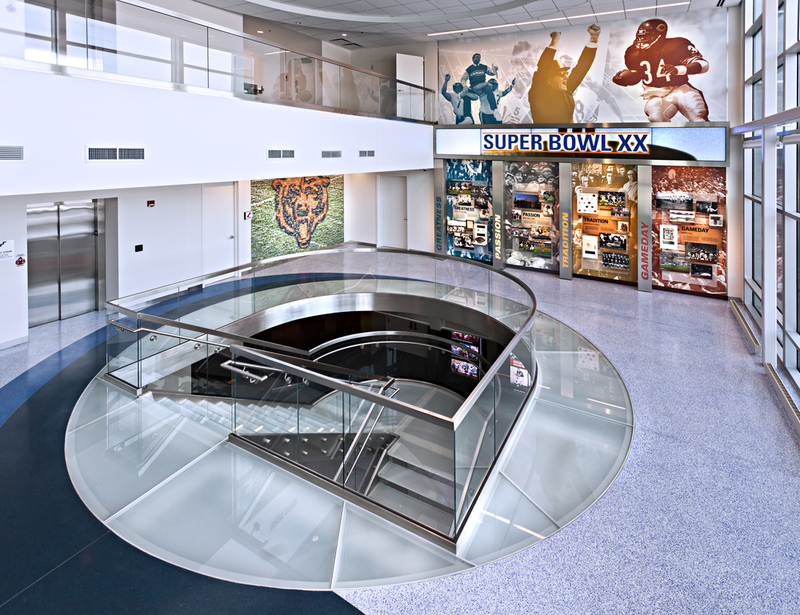 Provided interior design, branded environments and exhibit design services for the newly renovated Chicago Bears Football Club Headquarters at Halas Hall. 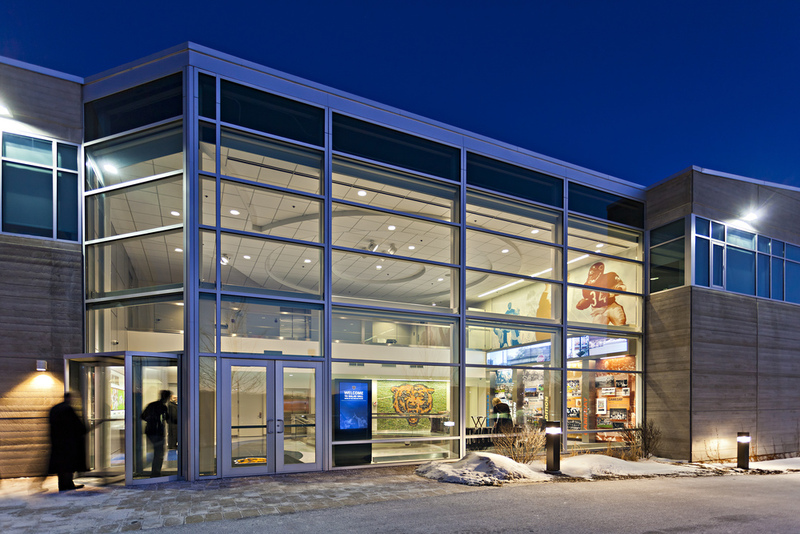 The project consisted of developing a comprehensive theming strategy to weave both the existing facility and the new conference center addition together into a seamless visitor experience. 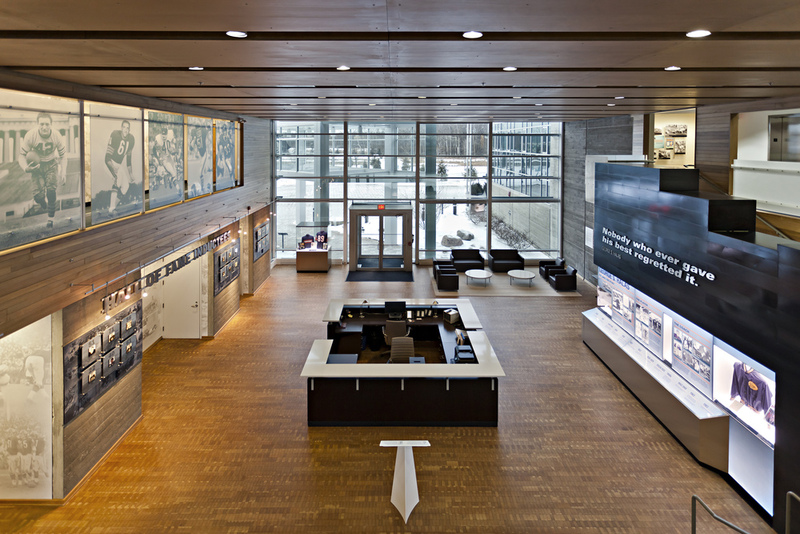 The visitor experience also addresses navigation and wayfinding challenges for both interior and exterior spaces. The creative team worked collaboratively with the Bears executive team and stakeholders to develop key messaging and content for the experience. The experience will feature the Hall of Champions, where visitors can interact with life-size players on interactive touch-screens to learn about personal stories and memorable Bears games. The team has delivered a full spectrum of services from pre-design planning and base building coordination; to content development and exhibit/graphic/interior design; to project management and fabrication/installation coordination. Project is a design-build collaboration between Provost Studio, Peter Hyde Design and Chicago Scenic Studios. Interactive design is provided by Cortina Productions.